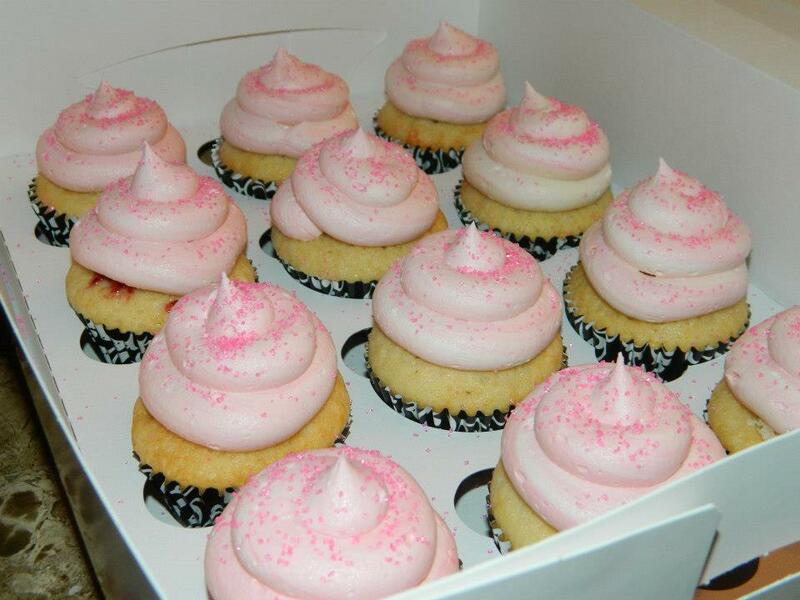 White chocolate raspberry and Nutella Nirvana. 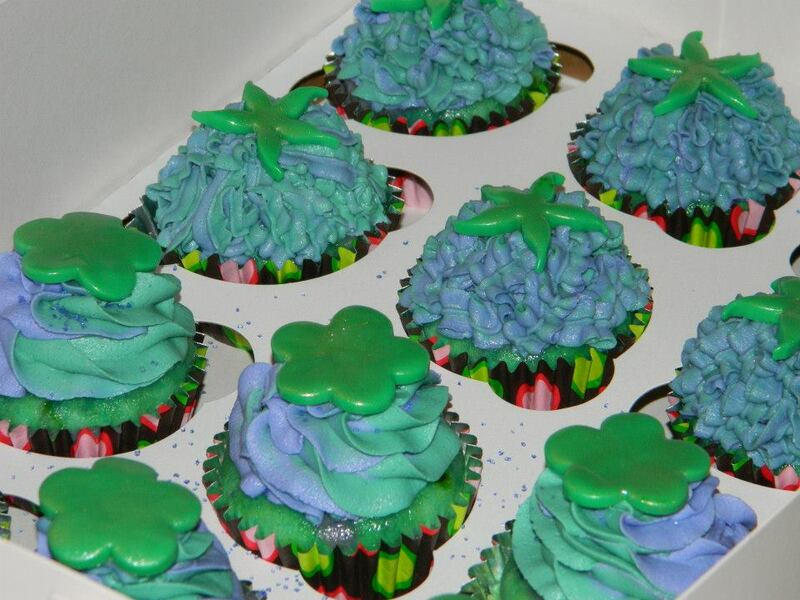 Over the rainbow cupcake. (always in assorted colors). 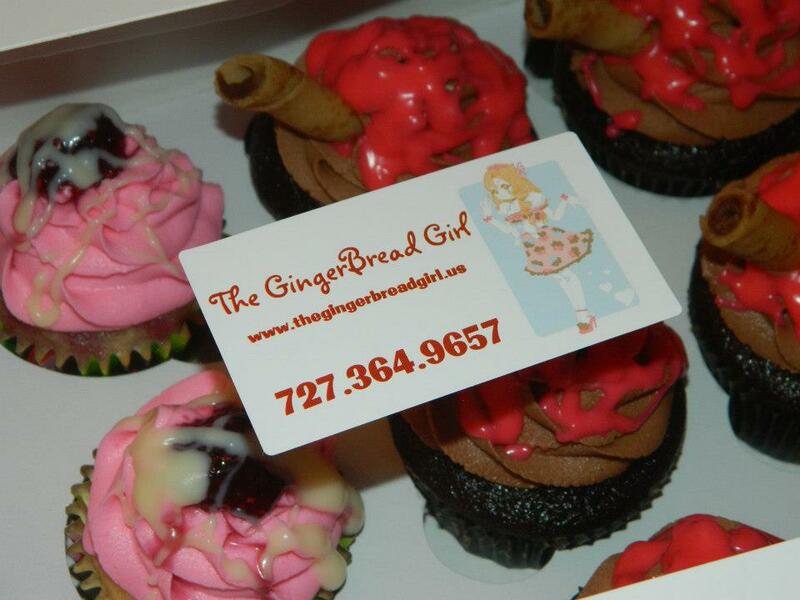 Grand Marnier Cupcake, dark chocolate peanut butter surprise, Redhead red velvet, white chocolate raspberry. Coconut KeyLime Pie Cupcake and Hawaiian Crush. 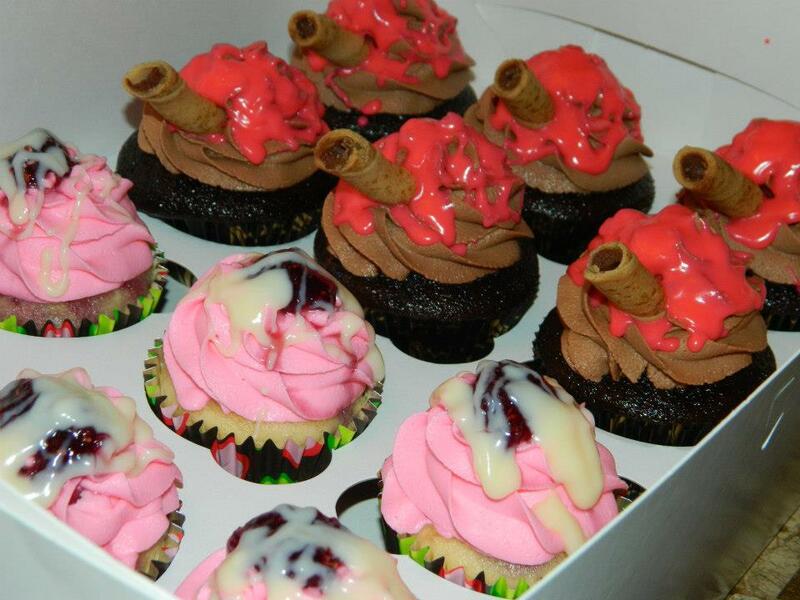 White Chocolate Raspberry, and Nutella Nirvana. Double Dark Chocolate peanut butter surprise! Always a hit! White Chocolate with strawberry preserves. Just like strawberry cheesecake. 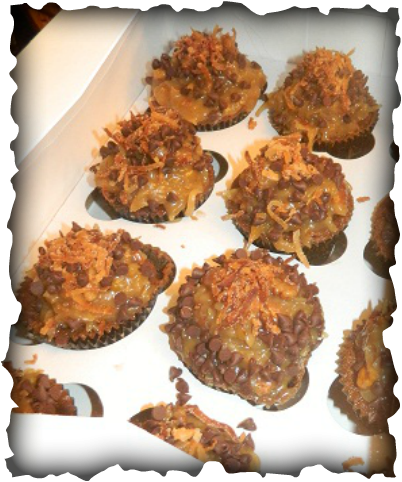 German chocolate cupcake. A moist german chocolate cake and topped with a shredded coconut and pecan frosting mound and then garnished with chocolate chips and toasted coconut. Black forest cupcake with a fresh cherry and brandy compote' and a homemade whipped cream frosting dipped in dark chocolate mini chips and a cherry on top. Cinnamon Apple Strudel Cupcake with Cinnamon apple compote and topped with a cinnamon cream cheese frosting. 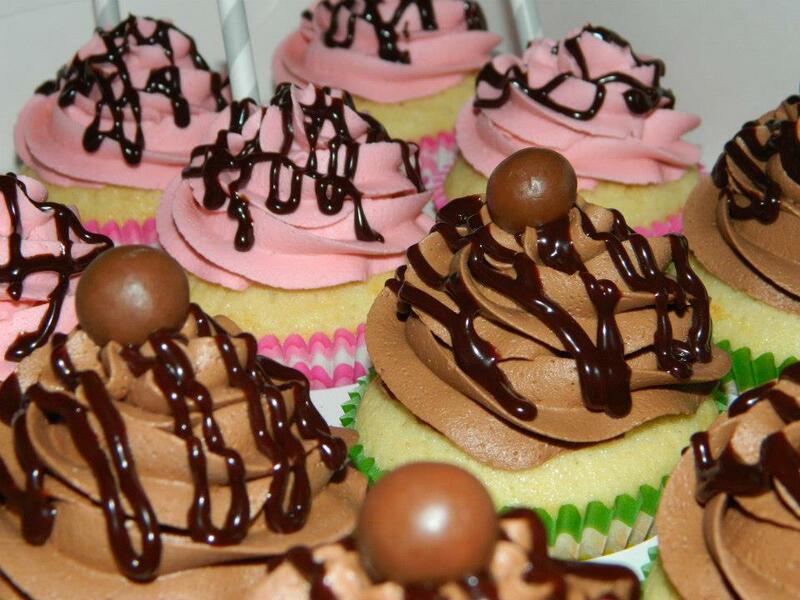 Chocolate and Vanilla mini cupcakes perfect for a charity event. Topped with cream cheese, chocolate+peanut butter, and vanilla butter cream frosting. Chocolate, chocolate and more chocolate!! Here is the Doubled over Chocolate cupcake. A dark chocolate cupcake with chocolate chips inside, then filled with a chocolate ganache and topped with a dark chocolate whipped butter cream frosting. You will need milk with these. 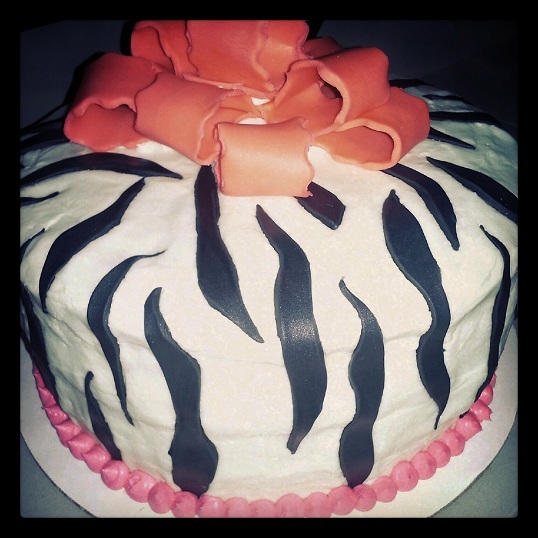 Beautiful Zebra cake special order for a bridal shower. This is a vanilla moist white cake filled and iced with cream cheese frosting and fondant accents. The Chocolate Elvis cupcake! What more could you want? Chocolate, banana, and peanut butter all together topped with dark chocolate butter cream and peanut butter whipped frosting. 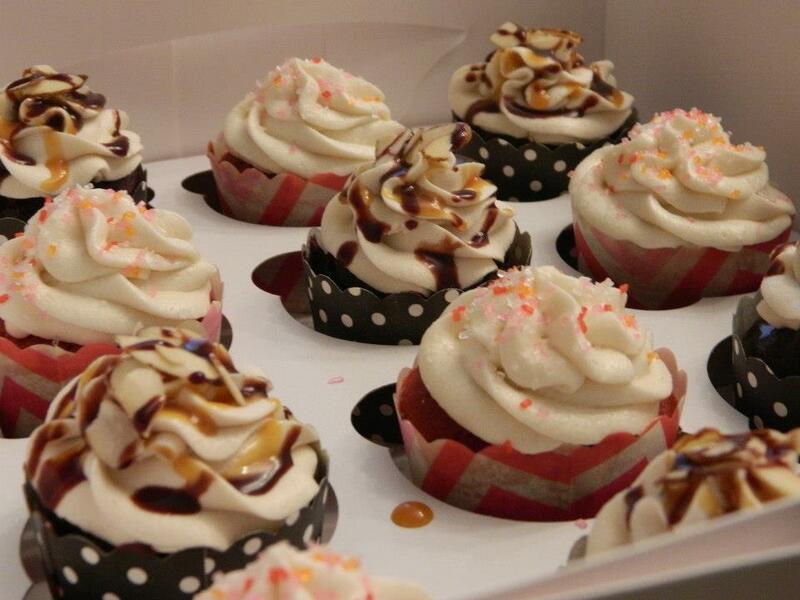 The Elvis Cupcake. 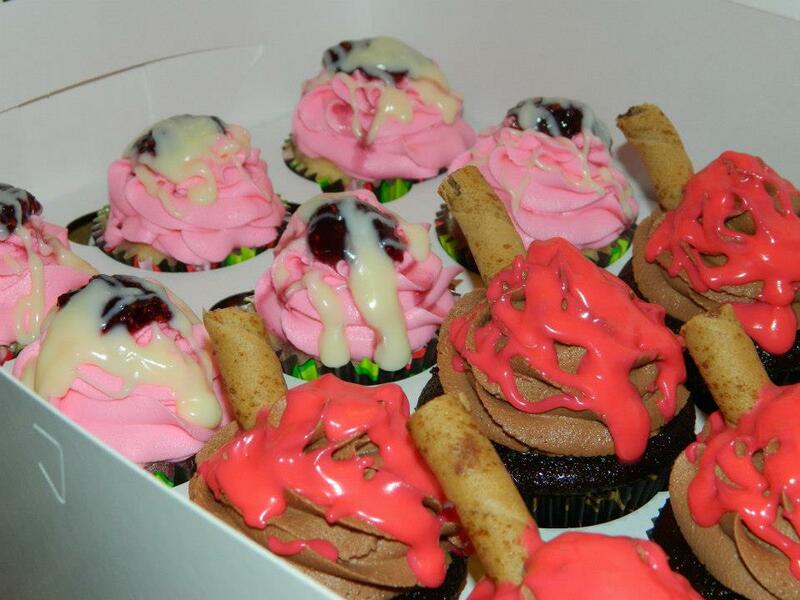 His favorite combination in this delicious cupcake. 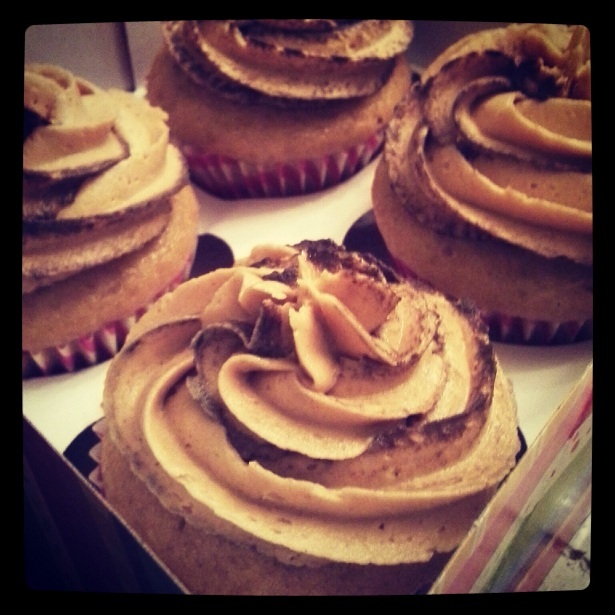 Topped with a luscious peanut butter whipped frosting. Choco-Banana Cupcake ready for pickup! Chocolate banana cupcake topped with a dark chocolate whipped butter cream. Nutella cream cheese frosted vanilla cupcake with coral and blue hearts. Congratulations to the newlyweds. 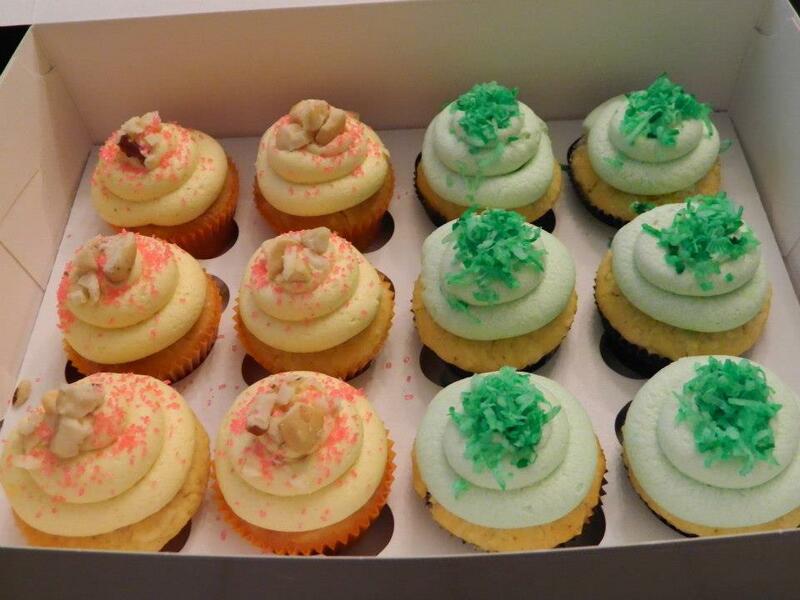 These cupcakes were the wedding cake, all 200 of them. So much fun to create and we got to keep some of the extras. Yum Yum! Chocolate Mocha Cupcakes with Coffee Liquor infused ganache filling and Chocolate whipped butter cream frosting. 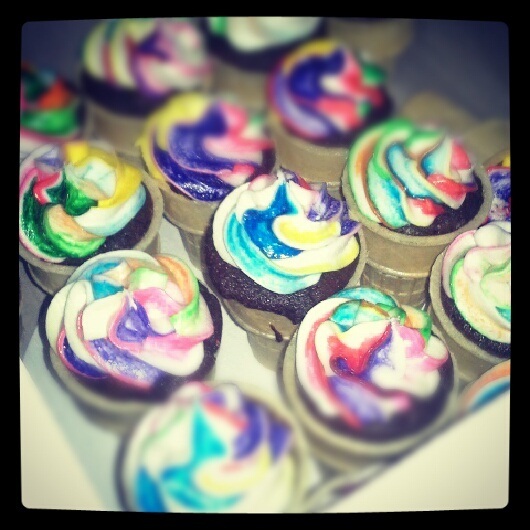 Ice cream cone cupcakes with double chocolate cake batter and superman rainbow butter cream frosting. Great for kid's parties! Engagement party 3 tiered cake. Bottom layer is the Chocolate Andes creation and the top two are the Double chocolate Peanut butter suprise. 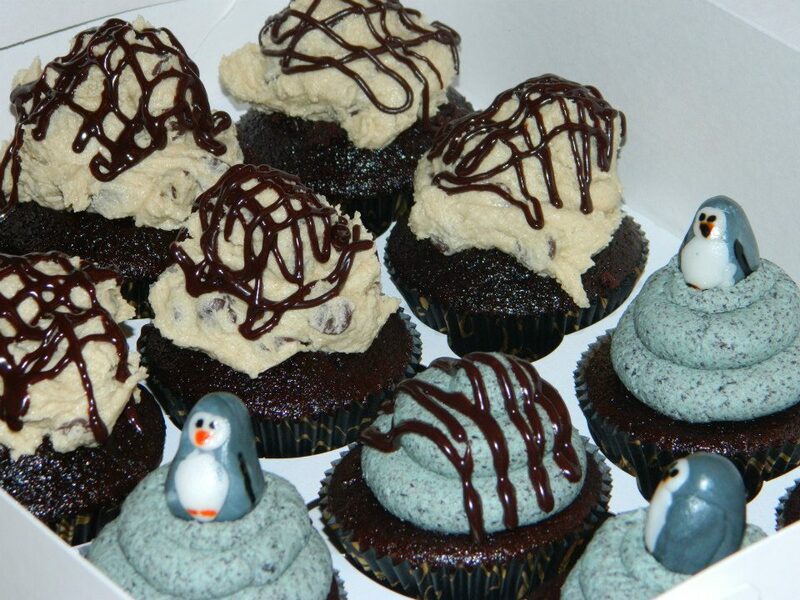 All iced with yummy buttercream frosting. Dark Chocolate cupcakes decorated like baby girl monkeys with peanut butter frosting and nutter butter ears. The animals looking at the baby sleeping. The finished result for the baby shower.